What a beautiful part of Italy to explore on foot, I hadn’t ever thought about a touring itinerary here. Your photos are utterly magical, they really showcase the place and it looks like you found some great spots to stay and to eat! Wow this place is BREATHTAKING, I can’t even really believe that it’s real! Your photos are incredible! This looks like such an amazing experience. I sitll have a lot to do in this area but I love South Tyrol. The scenery is stunning and one of my favorite parts of Europe. 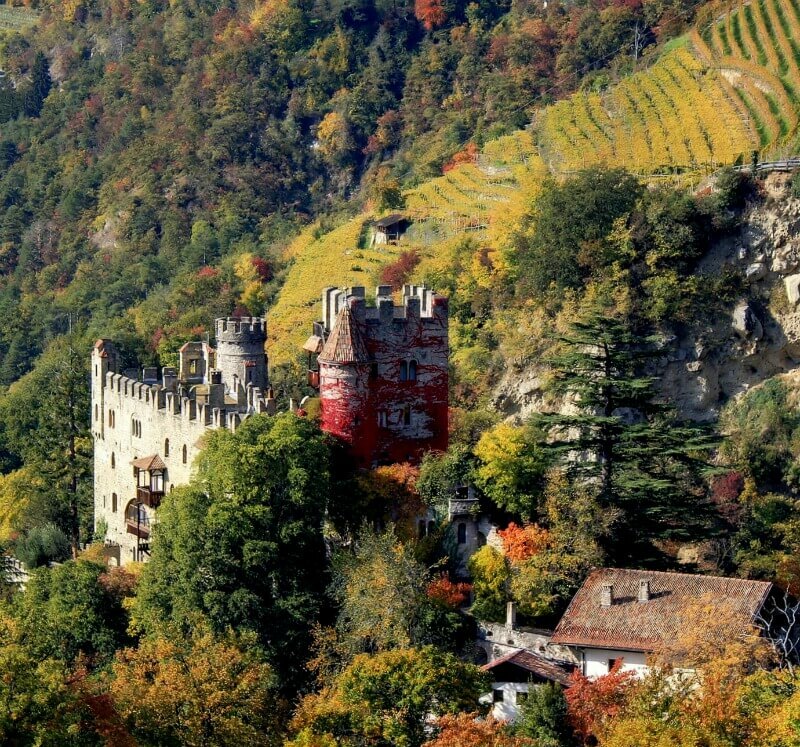 It’s easy to see why you were enchanted by South Tyrol. I would start with the delicious breakfast and then hike to the castle. This is clearly a hidden gem. I have been to Italy few times and never have I heard of this place. Definitely would be considering for my next trip. Lovely writing style as well. Thank you for the compliment! Hope you’re able to plan a visit. A hidden gem indeed! Everywhere looks gorgeous!! There are still so many places in Italy I need to explore! 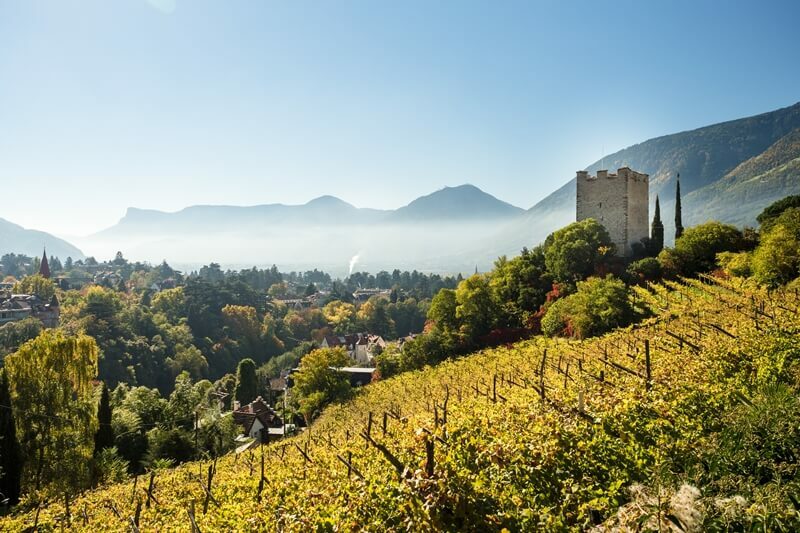 I’ve visited a few Italian cities like Milan, Florence and Rome now but with Merano’s lush greenery, and montaneous views this looks like an enchanting adventure you won’t soon forget! Adding this to my must see list for a change of pace. Great to hear Danielle! 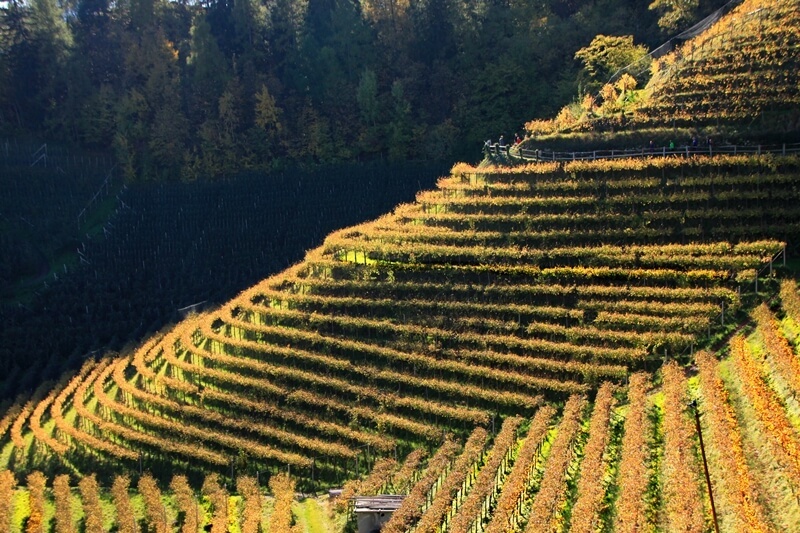 You’ll love South Tyrol! We have explored only the touristy parts of Italy and have never been to the countryside. Your pictures are stunning looks like straight out of a fairytale. Staying in a chalet style accommodation like Hotel Partaneshof amidst the lush green tranquility sounds dreamy enough. The Tappeiner Promenade looks like a great place to stroll and the view from the Powder Tower is wonderful. I would love to take this same path for a walk. Beautiful description of the sights along the way. Excellent views captured, they make me dream. What a magnificent place! I have driven from Switzerland to Italy twice, but both times was not able to linger in the Italian Alps. 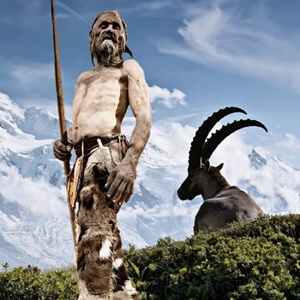 I didn’t know anything about Merano, but after reading your post, I know this is a spot that I would LOVE to spend some time. The promenades look great, and the scenery all over the valley makes my photographer’s heart go pitty-pat! Thank you for the comment Ann! We hope you can make it back to the area. 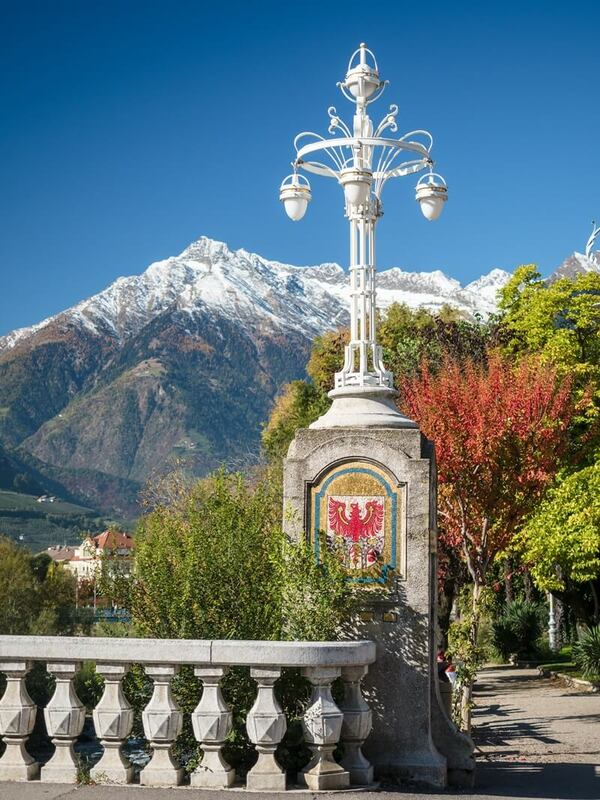 Merano is a spectacular place to visit in South Tyrol! What a blast to find an escape from the crowds of Verona and Venice in a nature paradise like Merano. I can clearly see why Sissi loved South Tyrol. Not only she was enjoying the nature, but escaping the crowds of royal Vienna too. Wow what breathtaking landscapes. First of all, the chalet style Hotel Partaneshof is a dream, I can see why you instantly fell in love and the views from that hotel are superb. I can imagine sipping a wine and looking at the valley. The summer promenade also looks like a great place to enjoy a walk and unwind. Elisabeth Park is a place I’m definitely walking to. Great post and absolutely stunning photos! This certainly looks like an enchanting walk! Italy is a wonderful place to visit and what better way to explore the countryside than on foot? I’m amazed at how lush and tropical this part of Italy is. 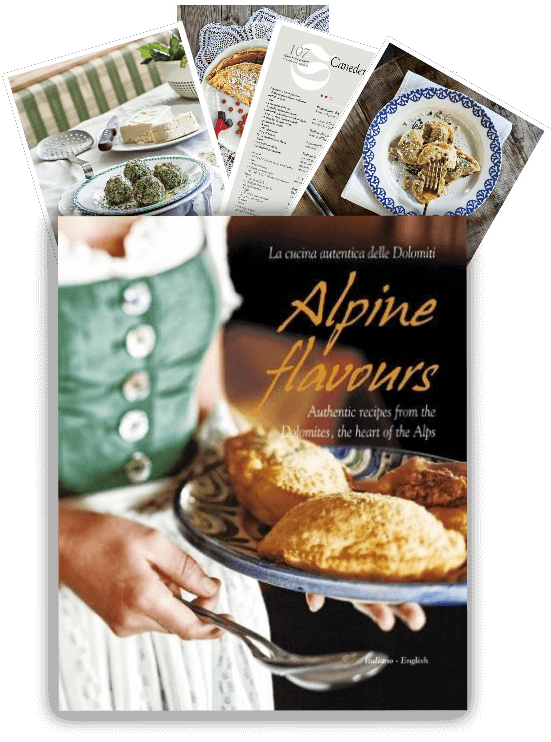 A perfect combination of nature and culture. .
Alto Adige is beautiful and you write about it with a fabulous passion! I wish I had known about this area when I went to Italy! It looks so beautiful!! The promenades are so well laid out the walks must be a pleasure. I never thought of visiting this part of the world, but seeing these gorgeous pics makes me think that I should include it in my plans for next year, Thanks for the inspiration! You’re welcome! 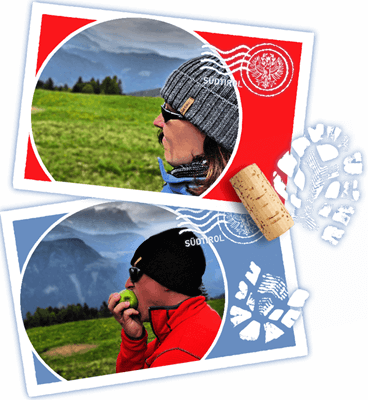 Hope you can make a trip to South Tyrol! Every foodie should visit.